New sneaker debuts at MSG. If Kobe were its own Nike brand, DeMar DeRozan would probably be the right player to lead it forward. The All-Star guard has been a loyal wearer of Kobe Bryant's signature sneakers since entering the league in 2009, even debuting a few colorways along the way. Once again taking on that role, DeRozan became the first player to wear the celebratory "Mamba Day" sneakers when the Raptors visited Madison Square Garden on Sunday. Though Mamba Day isn't until Wednesday, the Raptors donning their black and gold alternate uniforms created an opportunity too perfect for DeRozan to pass up. The Kobe 11 print will be available as a limited edition design option ahead of Bryant's final game. 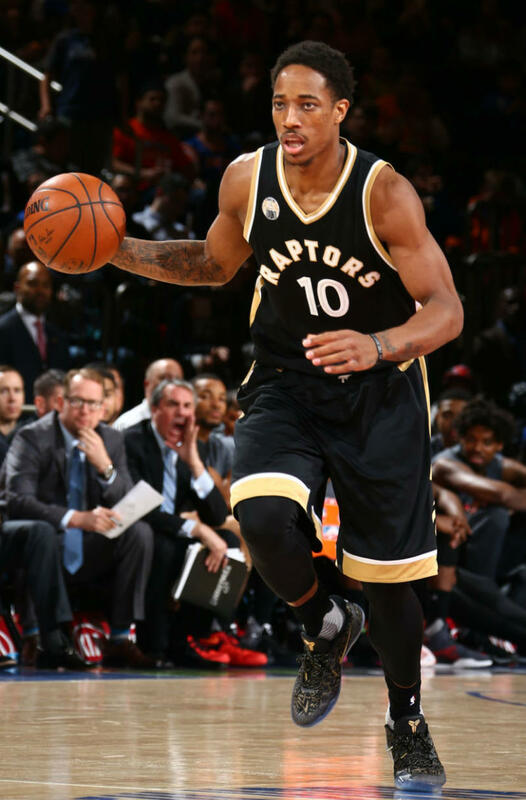 Helping the Raptors stay alive for the top seed in the Eastern Conference, DeRozan scored 27 points en route to a 93-89 victory.